Delhi is the capital of India and is famous for a lot of things. People simply come to this place because of its significance. There are several shopping places in Delhi that you can visit while in Delhi. 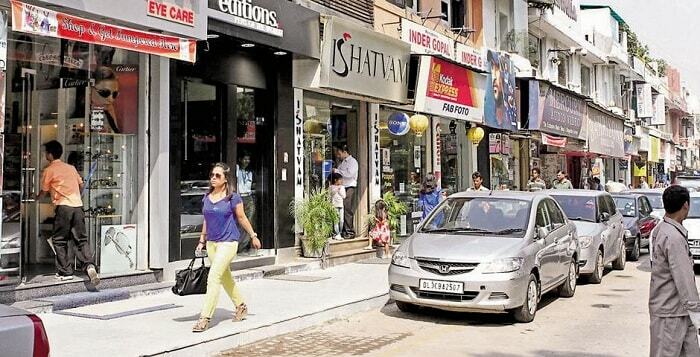 The writer discusses some of these shopping places in Delhi. Apart from being India’s capital, Delhi is also a famous shopping destination in the entire country and it surely deserves to be one. 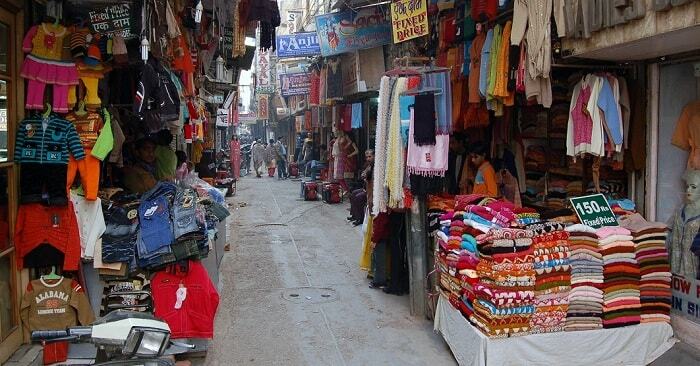 Shopping in the local markets of Delhi is an inevitable activity for any tourist. It happens to be one of the best shopping hubs that the country treasures. Shopping in Delhi is mixed with an electrifying atmosphere which makes the activity fun-filled and exciting. The best handicraft and other markets are all here in Delhi. Go through the following lines to learn about the prime locations for shopping in this region which will satiate your thirst for ‘shop-till-you-drop’ fulfillment. This place is among the oldest and busiest areas for shopping in Delhi well known for Indian garments including bridal wears in fabrics like silk, cotton, synthetic and wool. It also is popular for cosmetic products, shoes, gadgets, books as well as electronic items. You can shop in ‘Ajmal Khan road’, ‘Gaffar market’, ‘Bank Street’ and ‘Arya Samaj road’, all of which are located close to Karol Bagh. 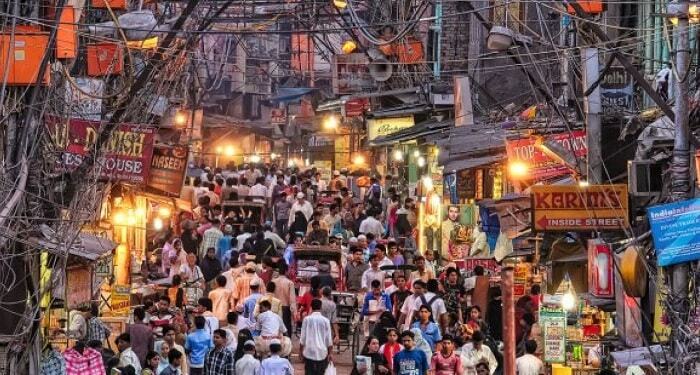 The ‘Central Market’ in Lajpat Nagar is a hectic shopping area which provides an insight to the culture of India. It is another of the oldest ‘marketplaces’ in the country where the ‘middle-class’ shopper can find a haven for his requirements in the showrooms and roadside stalls. The ‘mehendiwalas’ are a prime attraction source in this place, who will use their artistry to decorate your hands and feet with creative henna based designs in great speed. You can also find ‘salwar kameez’ and ‘kurtis’ at highly affordable rates here in this market. It is located next to the ‘Defence Colony’ amidst ‘South Extension’ and ‘Greater Kailash’ in south Delhi and remains open on all days except ‘Mondays’. You can shop for accessories like bangles, bags, shoes, home furnishings and Indian clothing in this market. This market is known for cheap ‘designer clothes’ as well as the reputed brands which are either rejected because of manufacturing defects (minor) or poor export quality or surplus quantity. 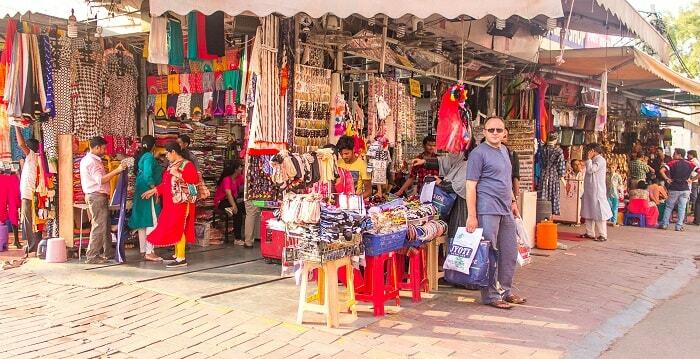 Fashion accessories and clothes of all types are sold in the various stalls and shops here in ‘Sarojini Nagar’. You will also come across ‘Subzi Mundi’ for vegetables and ‘Babu Market’ for sweets in this market. The market is located in South West Delhi next to the ‘Safdarjung’ Airport and remains open on all days excepting ‘Mondays’. You can shop for shoes, fashion accessories and Indian as well as designer clothes in ‘Sarojini market’. ‘Chandni Chowk’ is definitely a name that every Indian is familiar with and it is said to have existed for several hundreds of years. This market has several lanes that have their own specialized bazaars. For example, ‘Katra Neel’ is one of the lanes famous for fabrics, ‘Dariba Kalan’ is well-known for silver jewellery and ‘Bhagirath Palace’ is an area where you can chop for electronic goods. The street foods of ‘Chandni Chowk’ are world famous. This place is situated in Old Delhi and remains open on all days except ‘Sundays’. You can shop for electronic items, fabrics and jewellery here in ‘Chandni Chowk’. The market area of ‘Greater Kailash’ has been segregated into two important areas for shopping which include the ‘N-Block’ and the ‘M-Block’. These places remain crowded most parts of the day and also house vendors who sell ‘street-food’ for hungry shoppers. The market is popular for its outlets and showrooms in footwear, casual and Indian clothes as well as costume jewellery. You can also chill in various nightclubs, restaurants and pubs in ‘Greater Kailash’ area which is located in south of Delhi. This market is a small one which is u-shaped and one of the classiest markets in Delhi. You will get no chance of bargaining here but there are several branded outlets that you can shop from without any quality compromise. The bookshops are the most interesting things in this market and some of the tailors here are excellent artists who can sew your suit within a week-s time. The Khadi and Biotique are famous stores for skin care, ayurvedic food and medicine. The market is located in south of New Delhi and remains open on all days excepting ‘Sundays’. 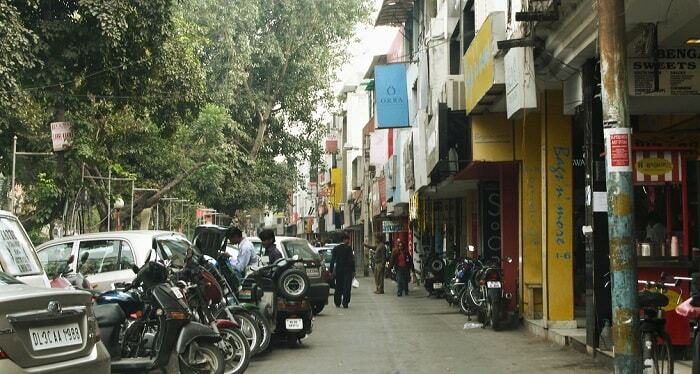 Look for music, books, tailored and branded clothes along with cosmetics, lamps and ayurvedic food here in ‘Khan Market’. One of the liveliest markets in Delhi, this place underwent a makeover recently and now has something to offer to everyone that visits the market. The best part about this market is that it offers Tibetan products along with Indian goods. You will find many interesting souvenirs here. This is a good place for bargaining and you will get a decent price for your buy. It is located in the centre of Delhi, next to Connaught Place. And it remains open on all days. 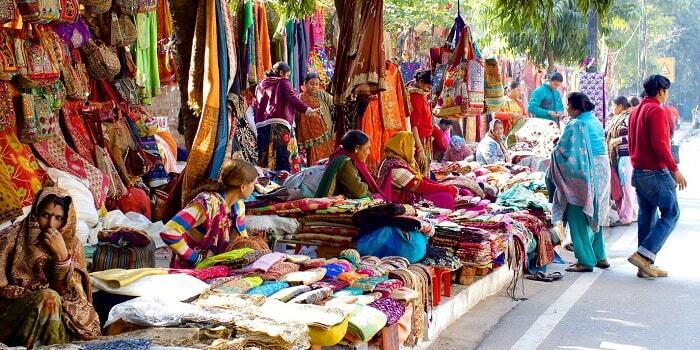 You can shop for hippy clothes, handicrafts, brassware, paintings, shoes, leather work, artefacts as well as cheap jewellery here in ‘Tibetan Market’. This is one of the largest market areas of Delhi which is given a village feel with the use of the term ‘haat’, generally a weekly marketing affair. You will come across cottages with thatched roofs that create a village-like ambience and the market itself offers Indian handicraft items along with music, food and culture based performances to lighten the mood. Entry fee for viewing the events is a meagre fifteen rupees so you should have no problem in investing your money for a good time. The market is situated in ‘Sri Aurobindo Marg’ which is opposite to the INA market, a second location is in ‘Netaji Subhash Palace’ next to the ‘Netaji Subhash Palace Metro Station’ and a third location in Pitampura. Visit this place for artefacts and Indian handicraft items. The market area of ‘Connaught Place’ or CP is recommended by most shoppers. All the top class branded showrooms and ostentatious malls are located here in CP which remains connected through some steps’ difference. This place owes its popularity to the fabrics sold here along with books, jewellery, electronic items and handicraft items among others. You will find several showrooms, cafes, malls, hotels, restaurants and multiplexes in this market area which will give you a complete day of outing in CP. The best nightclubs of Delhi are all located here. This is one of the most posh areas of the capital city where you can reside, opt for night outs in the pubs and clubs; and go shopping. All kinds of goods and products are available in the ‘South Extension’ market. 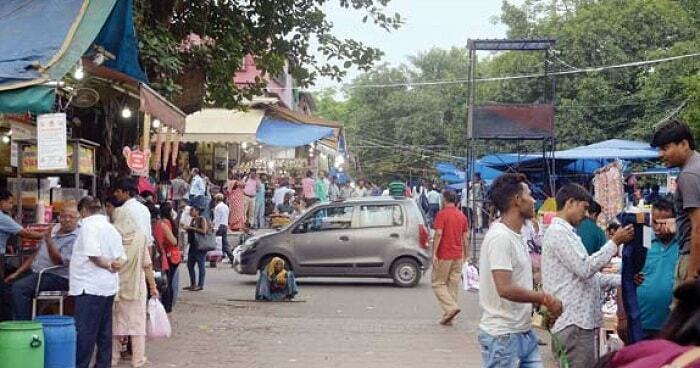 And for some high-class shopping, you can always visit this market situated in the southern part of Delhi. You might come across other places for shopping in Delhi other than these but the ones listed above remain the prime ones.